Keeping the top of our workshop in tune with the top of our website; we added British bunting. All the artwork is hand drawn, in keeping with the traditions of true British bespoke. Note, in the foreground of the picture is Unit 3: “Griffin“. Like all of our scooters, she is named after a Royal Navy battleship. You can just see her name on the top of the arch above her wheel. 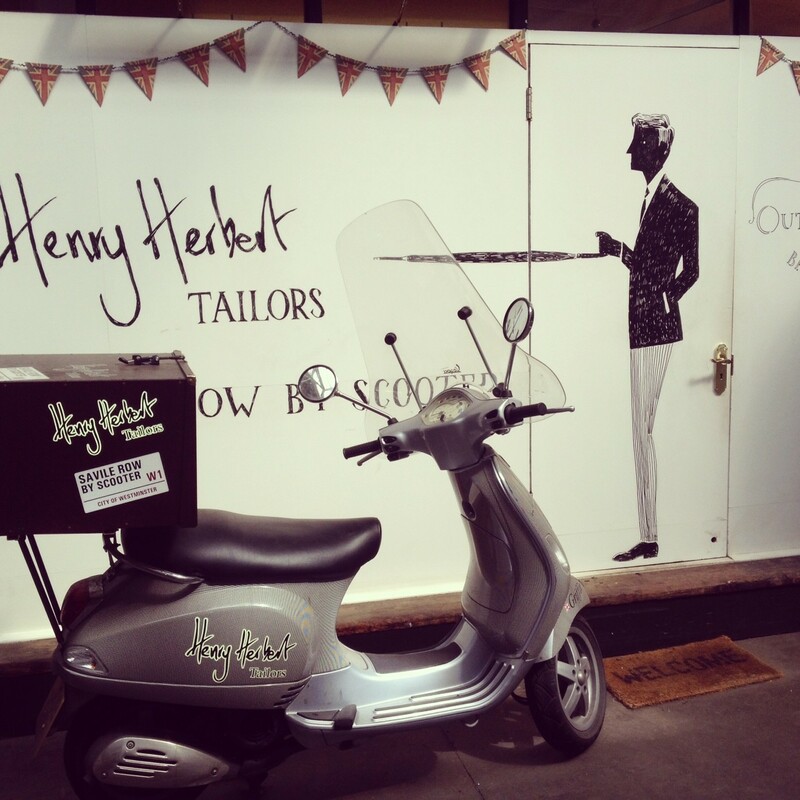 Keeping it British: Visiting Tailor London - Henry Herbert Tailors. Keeping the top of our workshop in tune with the top of our website; we added British bunting. All the artwork is hand drawn, in keeping with the traditions of true British bespoke. Note, in the foreground of the picture is Unit 3: "Griffin". Like all of our scooters, she is named after a Royal Navy battleship. You can just see her name on the top of the arch above her wheel.